Ugly Overload: Tackiness at sea, ahoy! 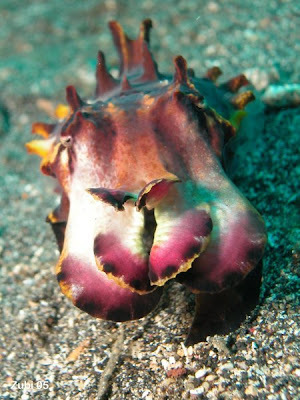 Cuttlefish are totally cool. They can change the color and even the texture of their skin, using the patterns to communicate with one another and to disguise themselves. 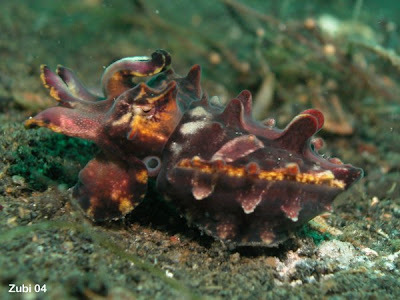 You can check out a bunch more photos of this species and its relatives here. Just don't go there for fashion advice, OK? It might be trying to disguise itself as a poisonous nudibranch or something. No way does it just 'happen' to have all those sticky-out bits and enjoy holding its tentacles up all weird!